Custom Sticker Printing Made Easy! Our custom stickers are the highest-quality stickers in the world. We print full color designs on our premium white vinyl material. Every order gets a free digital proof to ensure perfect results. After printing we apply a high gloss or matte laminate over all custom stickers. The stickers are then custom cut and shrink wrapped in stacks for shipping. With our custom sticker printing services, quickly make custom sticker sheets by adding kiss cuts to stickers of any size and shape! 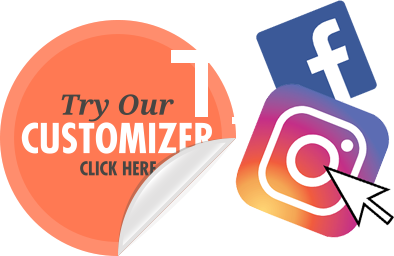 Use our easy customizer tool to design custom stickers of any size on any device, and receive a free instant digital proof!